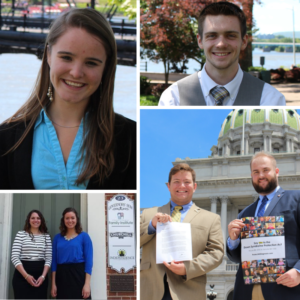 The Pennsylvania Family Institute is actively recruiting college-student interns for Fall 2019 in our downtown Harrisburg offices, two blocks from the state capitol. Interns will experience some of the legislative process as we work with the state legislature to promote family-friendly policy (depending on how long the legislative session continues into the summer). Assist with development of a judicial voter guide and other election related projects. Other projects will include research, writing, and grassroots mobilization. The Mission of the Pennsylvania Family Institute is to strengthen families by restoring to public life the traditional, foundational principles and values essential for the well-being of society. We are the only full-time, professionally staffed non-profit organization representing family values in the state capitol. We encourage responsible citizenship and involvement in civic affairs to promote respect for life, family, marriage and religious liberty. Interested students should forward a resume and pre-interview letter, or direct questions to: Emily Kreps, Internship Coordinator: E-mail: ekreps@pafamily.org; phone (717) 545-0600.